Nearly 60 million people live and work in rural America. It is a great place to live and work, however, it produces unique health care challenges. NRHD helps educate about these challenges and highlights the innovation and collaboration used by health care providers to improve quality of care. Over the years, the fifty State Offices of Rural Health and the National Organization of State Offices of Rural Health have worked to improve health care in rural America. This year we hope to transform NRHD from a single day event into a sustainable movement. With your support, we can keep matters of rural health top of mind and in the hearts of those who can, and are, making a positive difference. Join the Montana Office of Rural Health in Celebrating the Power of Rural!!! In honor of National Rural Health day, the Montana Office of Rural Health & Area Health Education Center is holding contests and awards to help raise awareness about the importance of rural health! Congratulations to our Dr. Frank Newman Rural Health Award Winners! Read full nomination letter here! In honor of National Rural Health Day, the Montana Office of Rural Health/AHEC and Montana Rural Health Association are seeking nominations for the Dr. Frank Newman Rural Health Award. Dr. Newman represented the spirit of Montana in nearly 50 years of service to rural communities and healthcare in our state. The nominees who most exemplify what Dr. Newman represented will be announced in late November to celebrate National Rural Health Day. Dr. Newman was instrumental in founding the Montana WWAMI Medical School Program, the Montana Office of Rural Health, the Montana AHEC, the Montana Family Medicine Residency Program, and many other programs. He served his country in the U.S. Marine Corps, and was the founder of the Wind Drinkers running club. Dr. Newman counseled hundreds of young people interested in a career in medicine and other health professions. He was actively teaching in the WWAMI Targeted Rural Underserved Track at Montana State University, and working at the Montana Office of Rural Health/AHEC until his death at age 80 on Veteran’s Day, 2011. Nominations for the Award should reflect Dr. Newman’s commitment to rural health in Montana, his support for health professions, his belief in the young people of our state, and his optimistic view of the future. Dr. Newman traveled to every corner of Montana, worked with rural hospitals and healthcare providers, and believed that communities had the capacity to support high quality healthcare. He helped many people persevere in their goals and hopes, and inspired many young people to pursue their dreams. This award recognizes an outstanding young leader (high school, college or early career) who is from a rural community, is pursuing a health science educational opportunity and/or who is working on rural health issues and has shown a commitment to improving the health of Montana. If you have questions, please email Cindra Stahl at cindra.stahl@montana.edu or call 406-994-6499. Citizens within Montana are eligible to enter the contest. Each photo/caption is one submission, you may submit up to 3 photos. 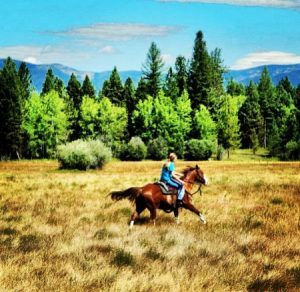 All photos must have been taken in Montana and must be taken by you. montanaruralhealthinitiative@gmail.com. Include a caption of the photo, where the photo was taken, your name, e-mail address, and phone number. If we are unable to reach the winner, the entry will be forfeited and the selection committee may choose a different winner. All photos will be posted on the RHI Facebook and Instagram page. Images submitted must be royalty-free. By submitting a photo, you understand you give the rights and permission of the photo to be used by the RHI and AHEC offices. Photos not meeting this requirement will not be eligible for prizes and will be disqualified from the National Rural Health Day Photo Contest. Share photos and descriptions of the activities your organization sponsored for NRHD to be entered into a drawing for $100. Display NRHD posters and spread the word on your organization's social media accounts! use #powerofrural on all of your posts!